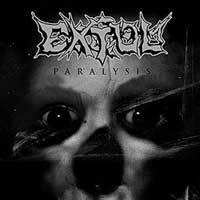 Norway's Extol got together in early 1994 playing a progressive and technical style of death metal that incorporates elements of classic metal and black metal as well. They recorded three songs for the Rowe Productions compilation "Northern Lights" and a year later recorded their "Embraced" demo tape. Soon after, Ole Borud from Schaliach (also featured on "Northern Lights"), joined the band and the Extol lineup was complete: Peter Espevoll (vocals), Christer Espevoll (guitars), Eystein Holm (bass), David Husvik (drums) and Ole Borud (guitars/vocals). I have seen Extol several times over the years and they are as good live as they are in the studio. Humble beginnings for Extol. The Northern Lights compilation also includes songs by death metal band GROMS, black metallers Antestor, and melodic death metal band Schaliach. Schaliach is a project by Ole Borud, who would soon go on to join Extol as well. The three Extol tracks are raw, but heavy, brutal and melodic. They are also a tad less technical than the material they would soon be recording. For more details on the Northern Lights CD, check out the compilation section. 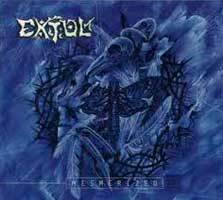 Extol was formed in 1993 by drummer David Husvik and guitarist Christer Espevoll. Peter Espervoll was enlisted as the bands lead vocalist. In 1994, bassist Eystein Holm joined the band just before their first gig. Emil Nikolaisen joined as a second guitarist in 1995 and in '96 they recorded songs for the Norwegian metal compilation "Northern Lights". 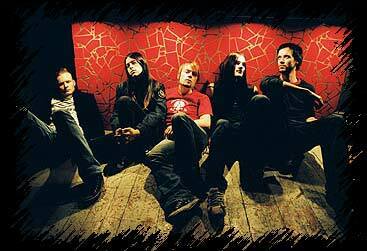 Later that year they recorded a cassette demo titled "Embraced" and Ole Børud replaced Emil. 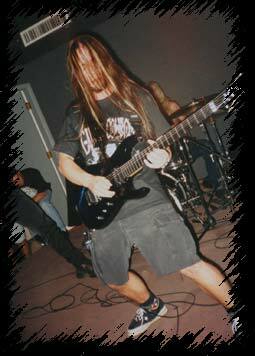 In 1997, Extol the debut album, "Burial", which was released by Endtime Productions in '98. "Burial" is a masterpiece! 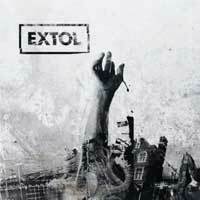 Extol are masters of their craft, mixing elements of thrash, death metal, black metal and technical metal yet somehow retaining a sense of melody, harmony and continuity. The big clincher is, the band hasn't completely forsaken hooks, unlike a good majority of bands that focus on speed and brutality over song-craft. It's not that the band has any real pop appeal, but they write good, memorable riffs and the album doesn't become tiresome to listen to. The vocals are mostly of the black metal variety (ie. cookie monster on crack) but occasionally Peter adds in some thrash shouts. As well, Ole' Børud adds some clean vocals here and there, such as in the song "Reflections Of A Broken Soul", to keep things interesting. Extol are one of the best bands to come out of the black/death metal scene in my opinion. Fan of any style of extreme or technical metal should be able to appreciate the musicianship and quality of "Burial." Extol follow up their debut album Burial with the six-song digi-pack EP "Mesmerized" The first three songs are classic Extol material, some of it being re-recorded version of songs from their first demo. "Prodigal Son" is the bonus track off the Japanese version of "Burial" thereby negating my need to get that expensive import. The last three songs are annoying industrial remixes of songs from "Burial." Don't even think I have ever listened to all three all the way through yet. Probably never will. With "Undeceived" Extol goes even more progressive, more technical, heavier (if that be possible) while still retaining that sense of melody and infectious song-craft that made "Burial" such a unique and entertaining album. They've even added some symphonic elements to the music, though this is not overdone. "Inferno" opens up the album in typical manic fashion, all guns blazing, blast beats abound and a violin? Absolutely! Somehow, it works. While not a carbon copy by any stretch of the imagination, the song is obviously inspired by their thrash metal heroes Believer. Likewise, the follow-up title song also begins with a bit of classical orchestration before breaking loose into more speed and mayhem. However, not every song is fast. "Shelter" is a dark, doom song that stands in stark contrast to the speed of much of the rest of the album. This song even has a short groove break in the middle of the song. "Meadows of Silence" is a peaceful and serene track consisting of only two acoustic guitars. "Where Sleep is Rest" is the second instrumental. Instead of an acoustic number, this is a slow, doomy instrumental that reminds me of Ole Børud's Schaliach project. The last instrumental is less than a minute long atmospheric piece with some keys and astral noises. "Abandoned" acts as an opening for album closer "As I Watch", a song that mixes blast beats and some jazz riffing. Once again, Peter Espervoll's vocals are mostly of the low, growled death metal approach. However, he does change things up here and there. On "Shelter", for instance, Peter shrieks in an eerie manner. A similar vocal approach is used sparingly in "Of Light and Shade". Ole Børud once again adds some contrast in vocals with his clean vocals. On "Ember" the two vocalists help to weave a musical tapestry that ebbs and flows from the insanely brutal to serene and beautiful. As with the first two tracks, there violin is introduced in this song as well. The production on this album is outstanding. Recording music that is this deep, dark and heavy is a challenge. It can tend to get muddy and certain instruments can get buried. However, that is not the case. Everything is clear and present, even the bass guitar. However, the production isn't so clean as to rob the band of that raw, gutteral sound. Most Extol fans hold "Undeceived" up as the band's pinnacle; their very best release. I wouldn't necessarily disagree, though I tend to like "Burial" just as much. My initial review of "Undeceived" was, "Extol Rules! I didn't think they would be able to match their masterpiece "Burial" but they did, and exceeded it." That about sums it up. The only Extol CD to not be picked up and released by Tooth & Nail, although I believe all four tracks have recently been added onto the Century Media re-release of "Undeceived" as bonus tracks. Another stellar release from a band that cannot be pigeonholed into one particular style. Of course the vocals still fall squarely into the death metal style, but with the mix of all the clean vocals and the incredible melodies, I would not label Extol as death metal. This EP is essential for the cover of Believer's "Shadow of Death". Extol continue to amaze me. Instead of writing Undeceived Part II, Extol take a turn to a more thrash metal direction. Now that Extol are a part of Century Media, I suppose the budget was a tad larger, because the production is stepped up quite a bit. However, clean production is not something I ever concerned myself with when it came to Extol. Rather it was the bizarre and technical riffs, the stellar musicianship and the odd time signatures they came up with, as well as their sheer aggression. There is plenty of that on this disc. As a matter of fact, I might be so bold to say that this is their most technical album yet. Peter Espevoll's vocals are more varied on this disc, ranging from the death growls and black metal howls of past discs, to a thrash vocal that is not unlike Believer's Kurt Bachman. I also really enjoyed the addition of even more clean vocals by Ole Borud this time around. Many people seem to have noticed the similarity of this album to that of Extol's cover of "Shadow of Death". I think Believer's sound is, and always has been a big inspiration to the band. My only real complaint about this disc is it's lack of memorability. "Synergy" is a technically superb album, on which each note has been carefully and painstakingly put into its proper place. However it seems to me that Extol are a bit too technical most of the time, sacrificing any sort of memorable chorus or hook for technical skill. Even though that sounds like a real downfall, the songwriting still has an attraction that kept me coming back listen after listen. Part of the attraction may also be in the diversity they display. On track two ("Paradigms") for example, lead vocalist Peter Espevoll has a melodic duet with a Norwegian pop singer, Maria Solheim. While it may sound strange to have a pop singer on a thrash record, it works quite well. Also amidst all the brutality, the band played an acoustic track called "Aperture". 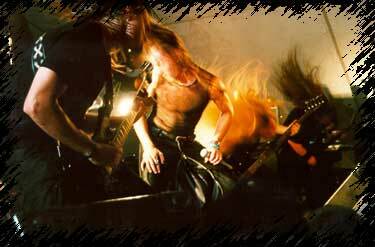 Throughout the album, there is a mixture of thrash metal, melodic interludes, and melancholy acoustic sets. 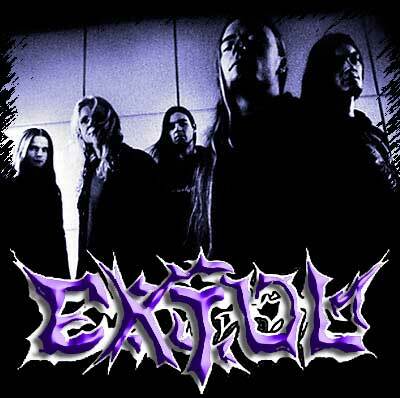 So, if you are looking for straight death metal or black metal, Extol is not the band for you. However, if you are searching for an album that is filled with stellar musicianship, odd time signatures, brutal riffs and some of the tightest thrash to be unleashed in a long time, then search out "Synergy". It will most definitely be on of my favorite discs for 2003. Extol have never been content to sit back on their laurels, instead choosing to move forward with each new CD and try something new. 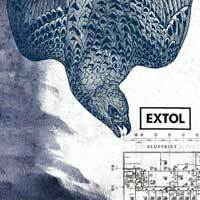 On top of that, Extol has been a revolving door of musicians with drummer David Husvik and vocalist Peter Espevoll being the band's mainstays. With new members coming and going and the band's experimentation, one would only expect their sound to change over time and that is certainly the case with "The Blueprint Drives". While the bands first two albums were a mixture of melodic death metal and some black metal influences and "Synergy" was of a progressive thrash metal nature, "The Blueprint Drives" moves into more melodic, atmospheric and somewhat uncharted territory. I've heard complaints from fans about the more melodic, less brutal nature of this new release and have even heard comparisons to some mainstream artists. Frankly I just don't hear the comparisons at all. What I hear is something completely new, fresh and certainly more song oriented. While it could be said that with past albums the band had something to prove technically, with "The Blueprint Drives" Extol has moved beyond trying to outplay every other band on the planet and has focused on writing songs. I can't ever recall using the term "catchy" when describing an Extol song, but with songs like "Gloriana" and "Pearl" this certainly can be said. Actually I might even describe "Gloriana" as a beautiful song. The use of more clean vocals is a welcome addition, although I must confess that I don't think the clean vocals here are anywhere near as good as in the past when Ole Børud was sharing vocal duties. OK, so am I saying that this is Extol's finest hour? Absolutely not! I mean this is not the same Extol that gave us masterworks like "Burial" and "Undeceived ". However, I also don't think it's as bad as some fans are saying. Actually, it might have been all those bad comments that left my expectations low so that when I did get to finally hear this CD, it was much better than I expected. I must confess, "Blueprint" is a grower. I didn't immediately like this CD, and in fact didn't like it at all on the first listen. The more I listened, the more I began to appreciate it. The thing is, had this not been an Extol release, I am not sure I would have even given it the multiple spins required for it to grow on me. Thankfully I ignored the hype and found an album that is very enjoyable. The limited edition CD comes in a blue jewelcase and includes the bonus track "Riding For A Fall" as well as the enhanced video for "Pearl". 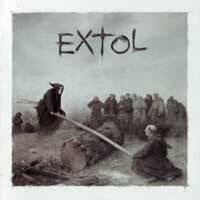 I've been an Extol fan since I purchased their first demo from Steve Rowe's distribution back in the mid1990's. "Burial" was a brilliant mix of brutal death metal and beautiful melodies. With the release of their last album "Blueprint Dives" in 2005 the band had moved far, far away from those brutal death metal yesteryears. When news of a new Extol album surfaced in early 2013, everyone was curious what this new album would sound like? Returning to the fold are the two members of Extol that have been with the band since the beginning, vocalist Peter Espevoll and drummer David Husvik. Also returning is guitarist, vocalist and visionary Ole Børud who had recorded on all the band's albums except "Blueprint Dives". I've always felt that Ole was part of what gave Extol their unique sound, both because of his songwriting and his clean vocals. With "Extol" that remains true. In an on-line interview drummer David Husvik was quoted as saying, "(This) was the album that was planned all the way, but never materialized. Partly due to changes in the line up, but also because of the band’s urge to always reach for something new. The album is the recap of 20 years of Extol-history, both musically and lyrically." While this successfuly includes elements that have been found in all of their previous albums, it really doesn't begin to explain the sound of this album. On a discussion board it was asked of me what the new Extol sounded like. My reply was, "it sounds like a mixture of early, brutal Extol and the prog-rock band Yes." While that is an odd combination, it certainly begins to describe the sound of this album to me. There is strong death metal presence all over the album but it's more melodic and mixed with a lot of technically proficient progressive metal and melodic passages. Opening track "Betrayal" starts things off with an aggressive nature. This song would have fit nicely on "Burial". "A Gift Beyond Human Reach" and "Behold the Sun" showcase some of the heaviest that the album has to offer, though both tracks are peppered with layers of clean vocals that give the album the Yes connection I previously noted. Instrumental "Dawn of Redemption," highlights the depth of the band's musical ability, although of all the songs this is the only one that comes off as possible filler. Perhaps my favorite track is "Open the Gates" with it's biting guitars and the battle between the black metal shrieks and the celestial sounding vocals of the chorus. It's also worth mentioning that the production is stellar. The album was engineered by Jens Borgen (Opeth, Paradise Lost, Enslaved). Overall, "Extol" is the most solid and enjoyable album the band has released since "Burial" and one of the best metal releases of 2013.